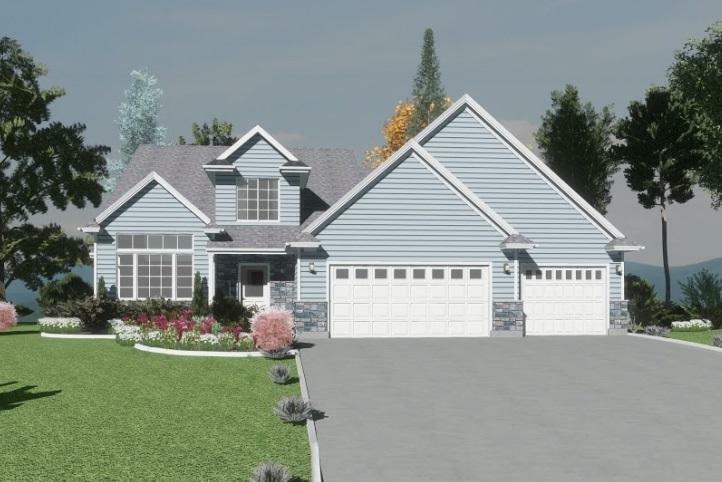 Newly constructed large 2 story home located on cul de sac in sought after Howard Suamico school district. Stone on covered front porch. Spacious kitchen features granite counters, custom maple cabinets, walk-in pantry, island with storage & attached dinette. LVP floors & carpet throughout the home. Cathedral ceilings in living room along with gas fireplace provide great entertaining space. 1st floor master suite with generous walk-in closet & full bath with walk-in shower. 2 large bedrooms, 1 full bath & bonus room complete the 2nd story. Main photo is similar but may not be exact.